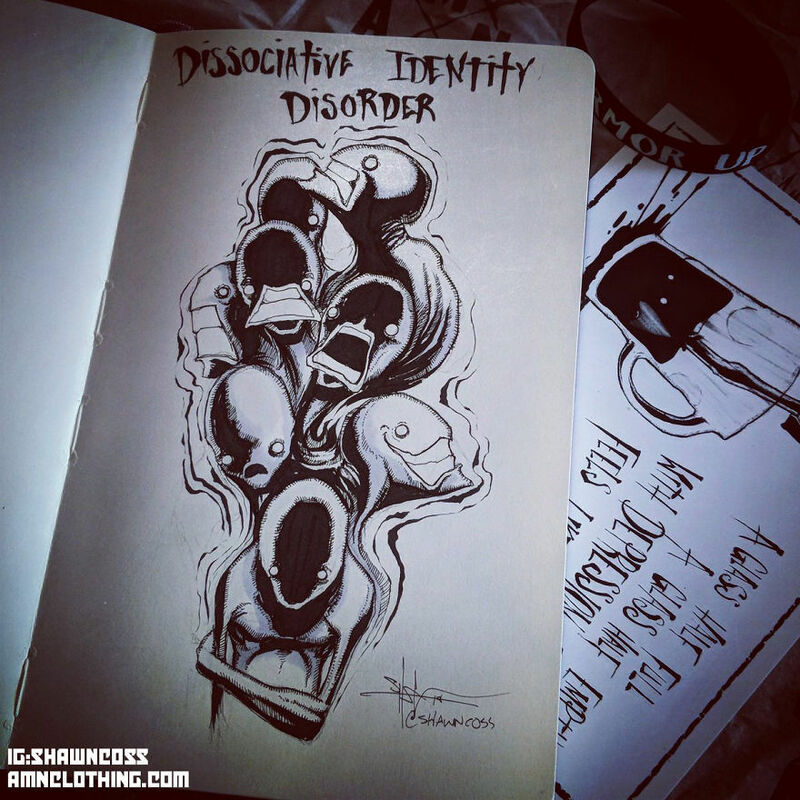 Many people suffer from mental disorders. 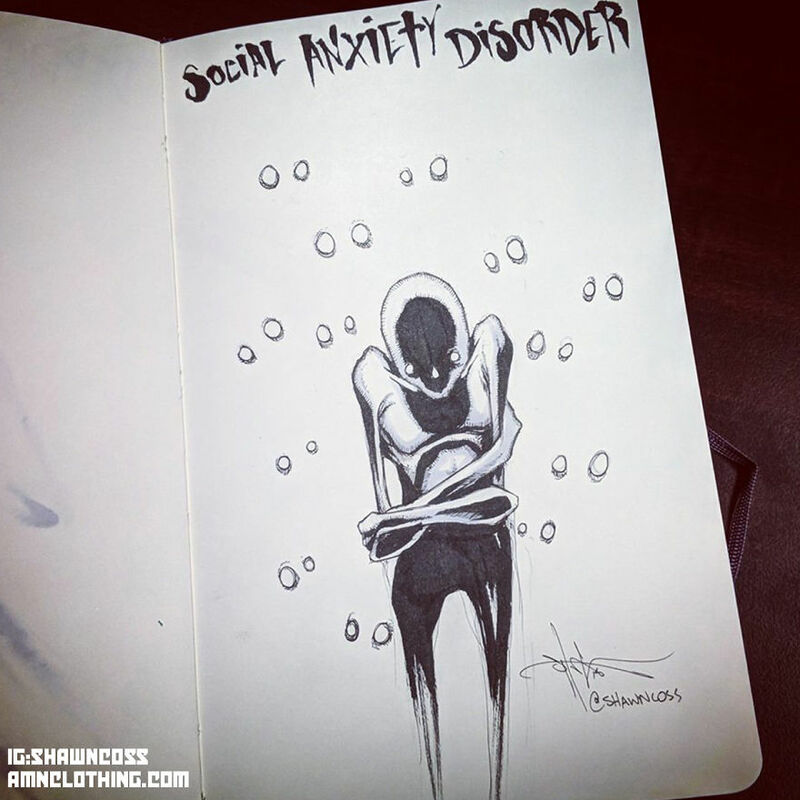 And rather than making them feel welcome, we tend to alienate them, making their problems worse. 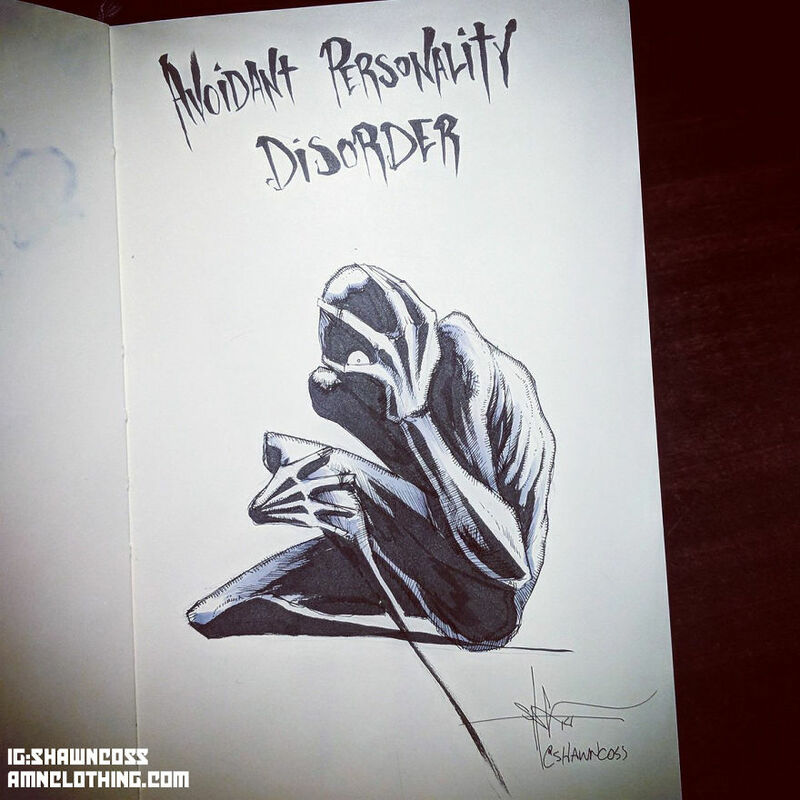 While it is a good thing that this has started to change in recent years and many people are trying their best to learn about these mental problems that affect us, we still have an extremely long way to go. 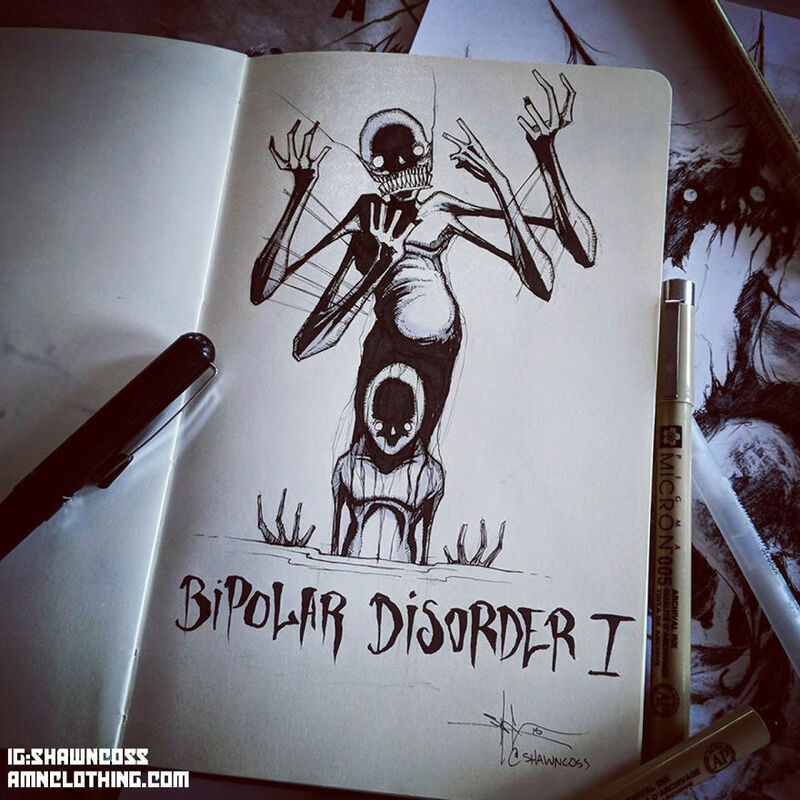 Because believe it or not, many people still don’t even believe that mental illnesses exist, they think that it is all just hocus pocus. 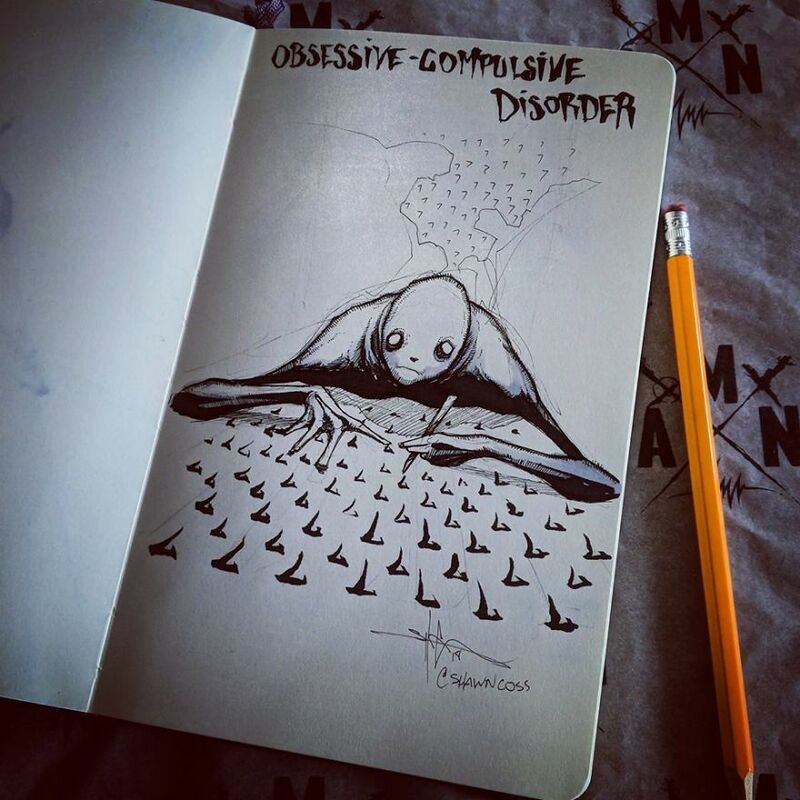 Sadly, I am not making this up. 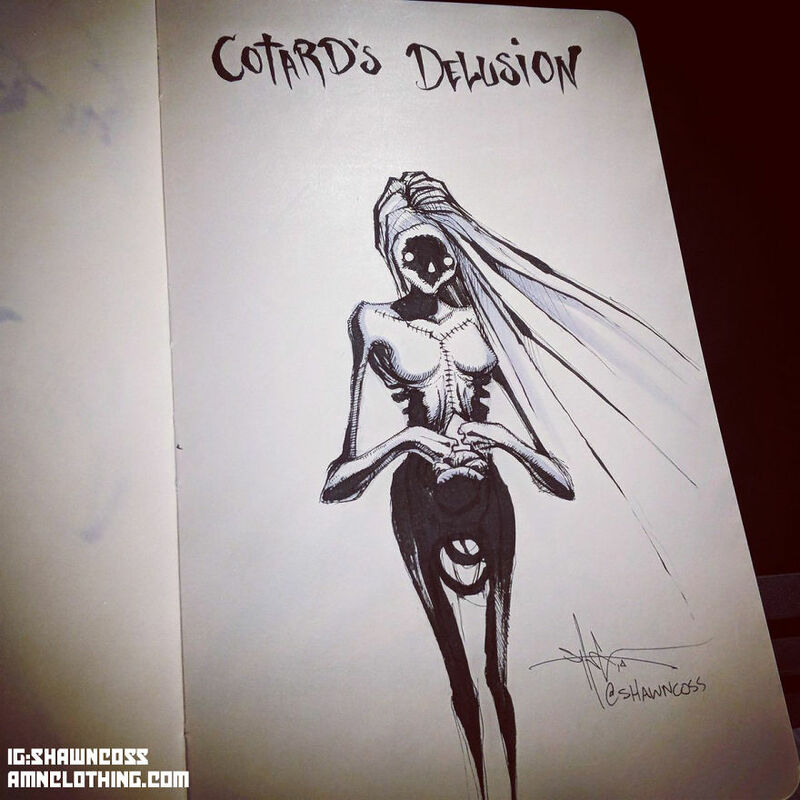 And while artists love to touch upon important subjects, Shawn Coss has taken it a step further. 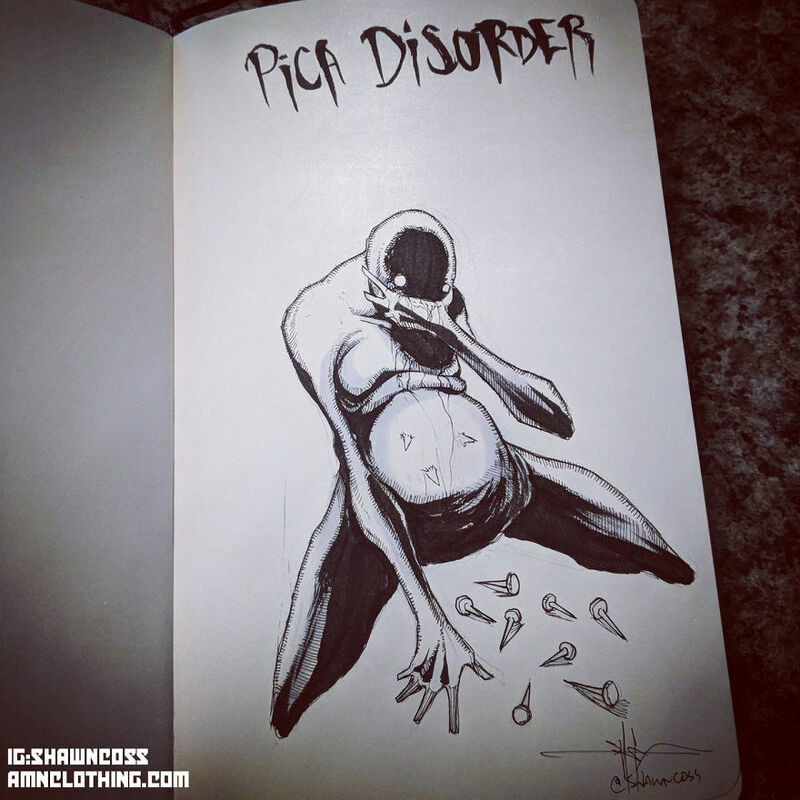 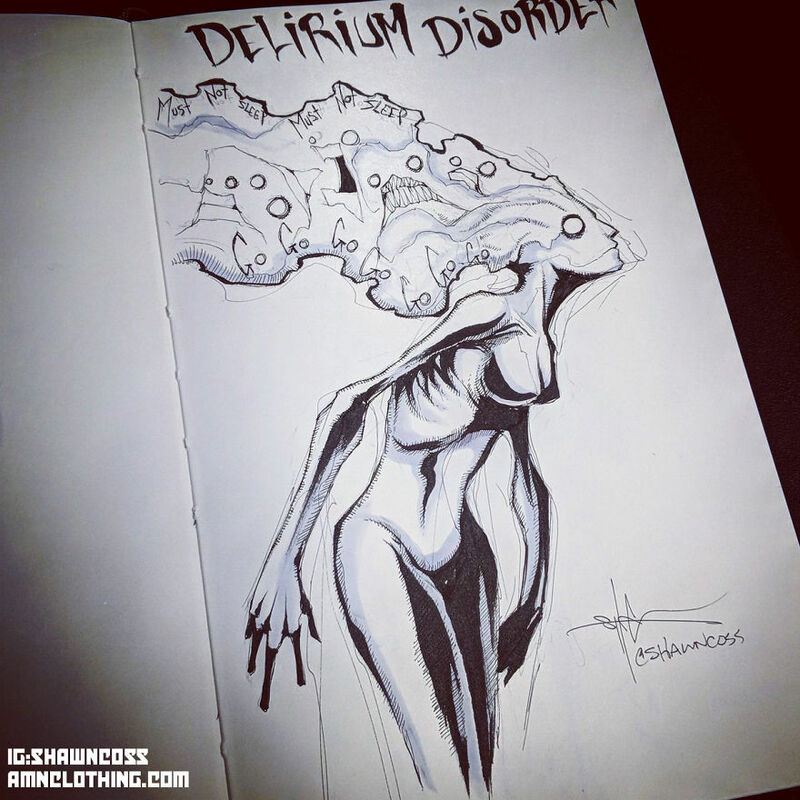 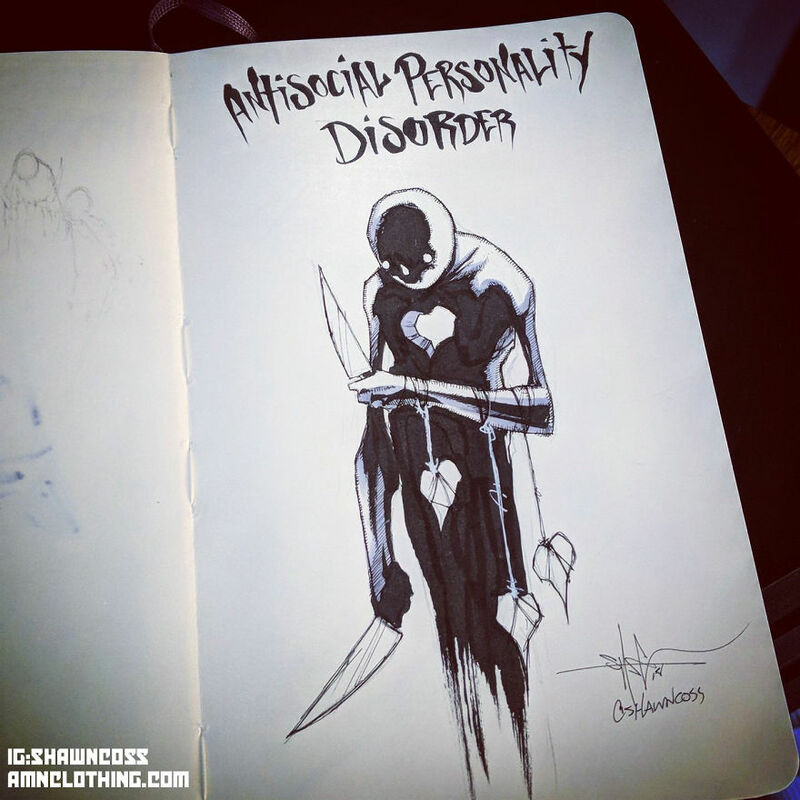 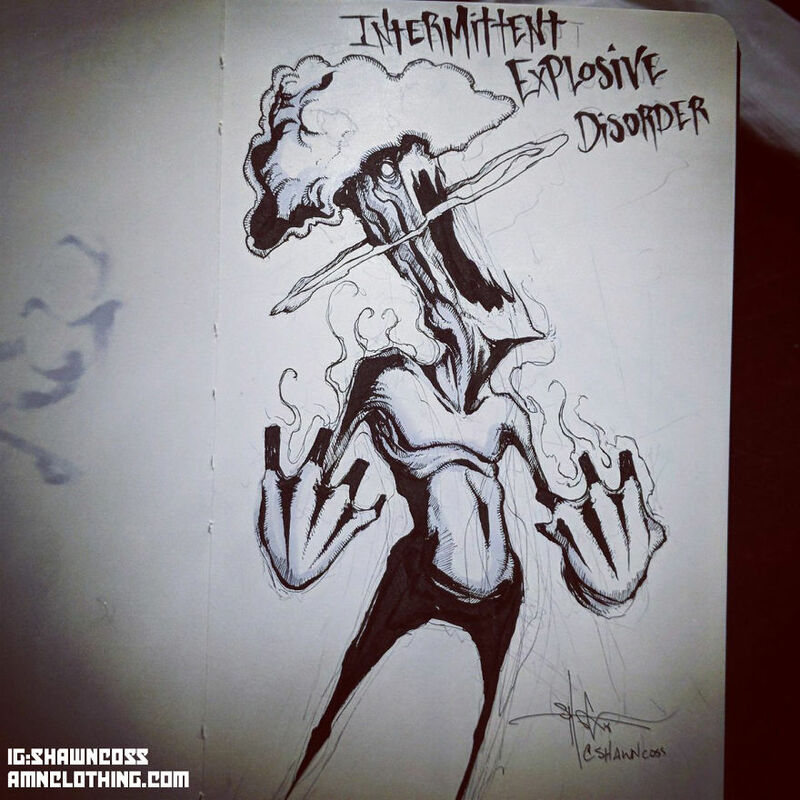 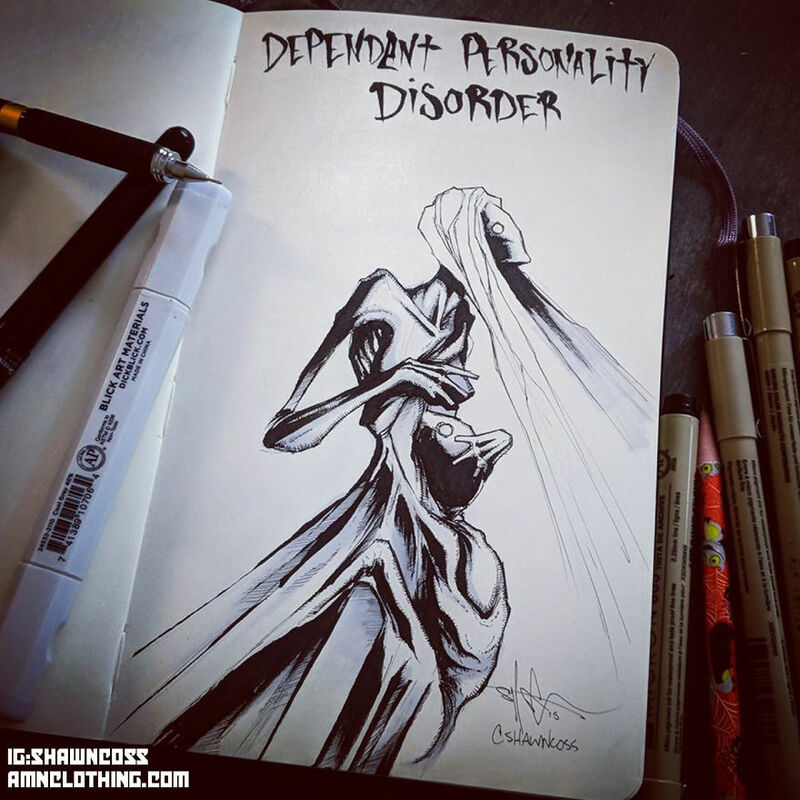 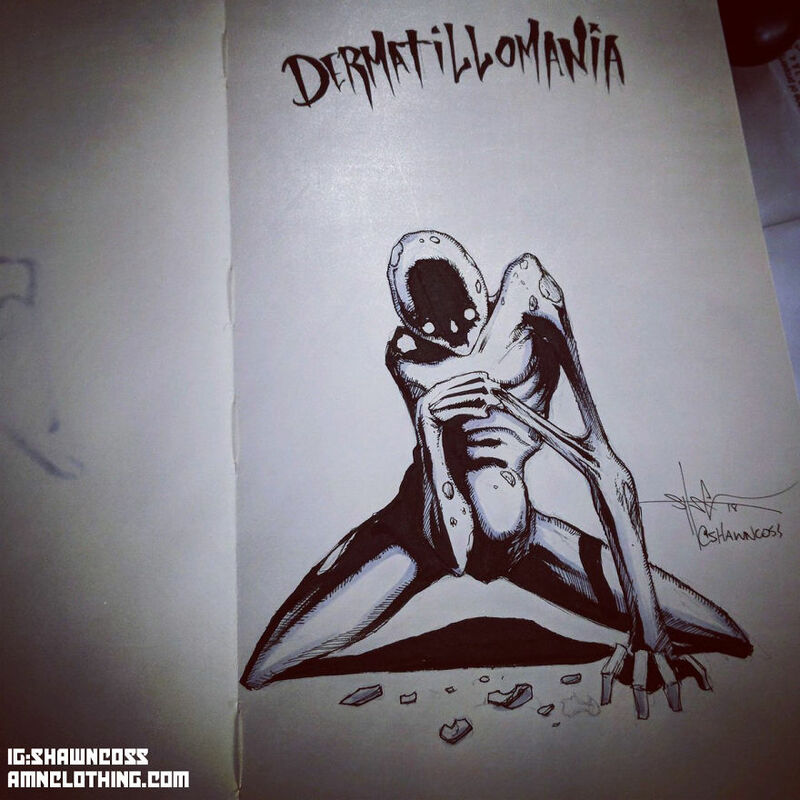 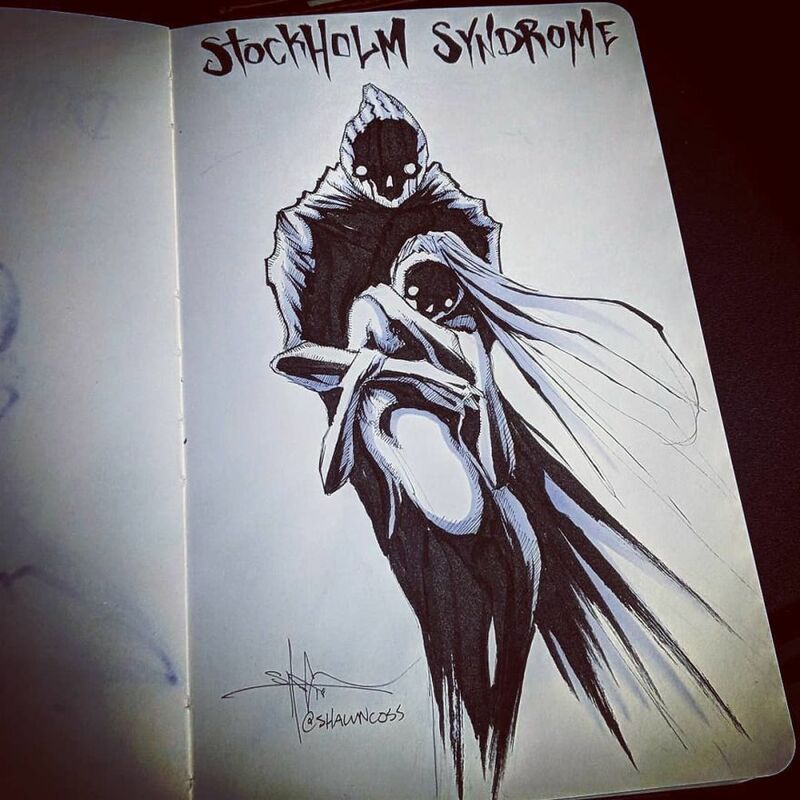 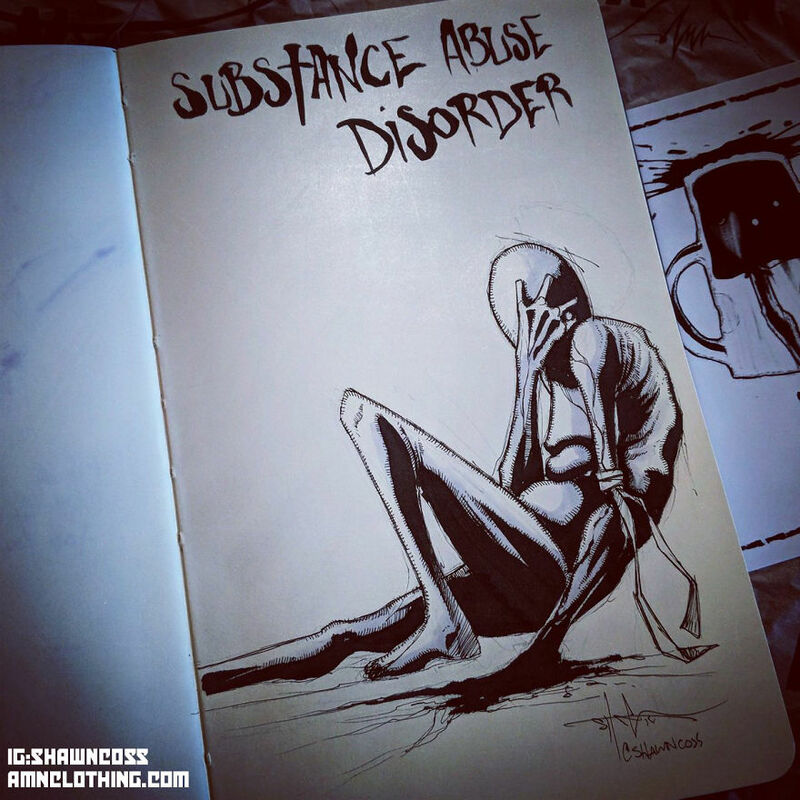 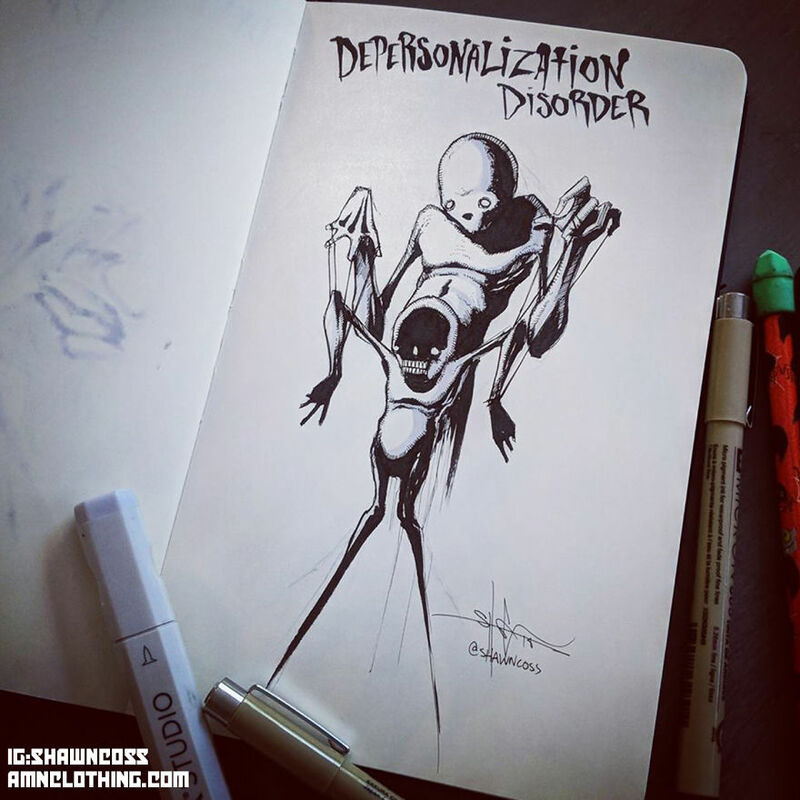 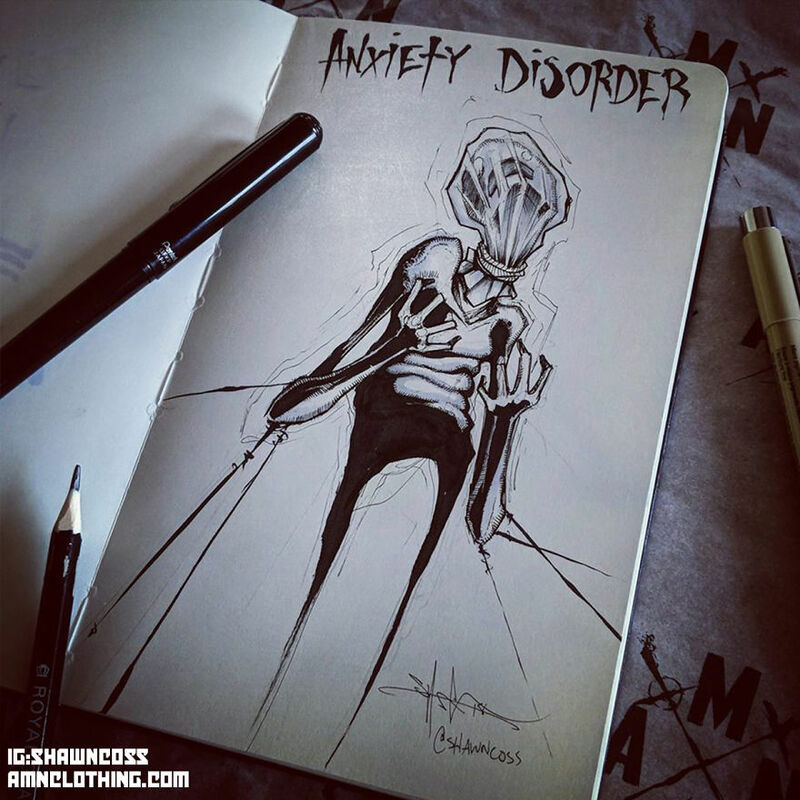 His illustrations depicting different mental illnesses are haunting but very true. 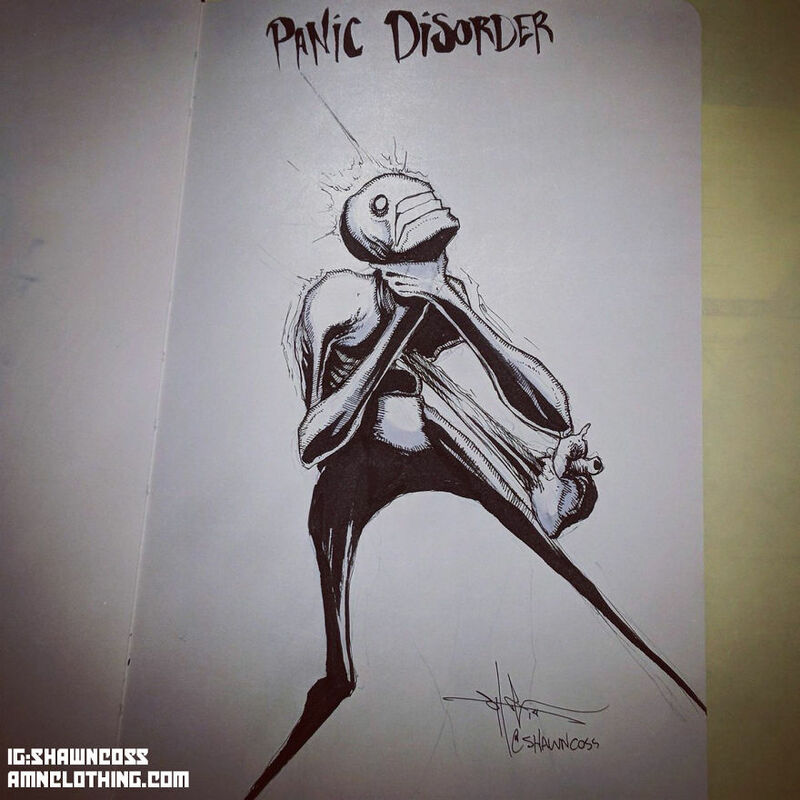 I am sure many of us can relate to these. 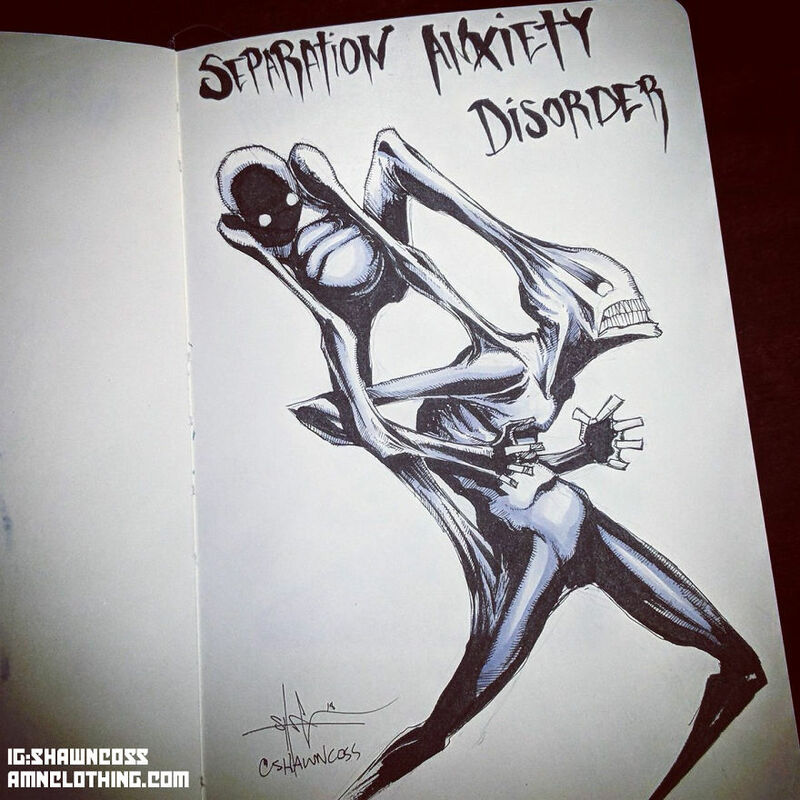 You may have already seen his unique artstyle in his depiction of common phobias. 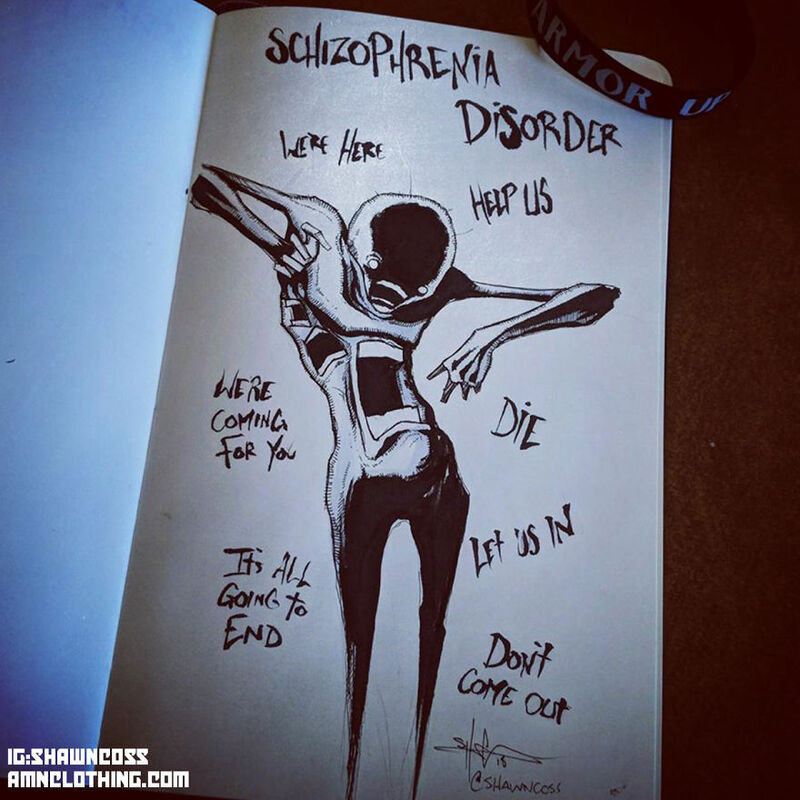 So scroll on below and take a look at his depiction of mental illnesses that plague many of us. 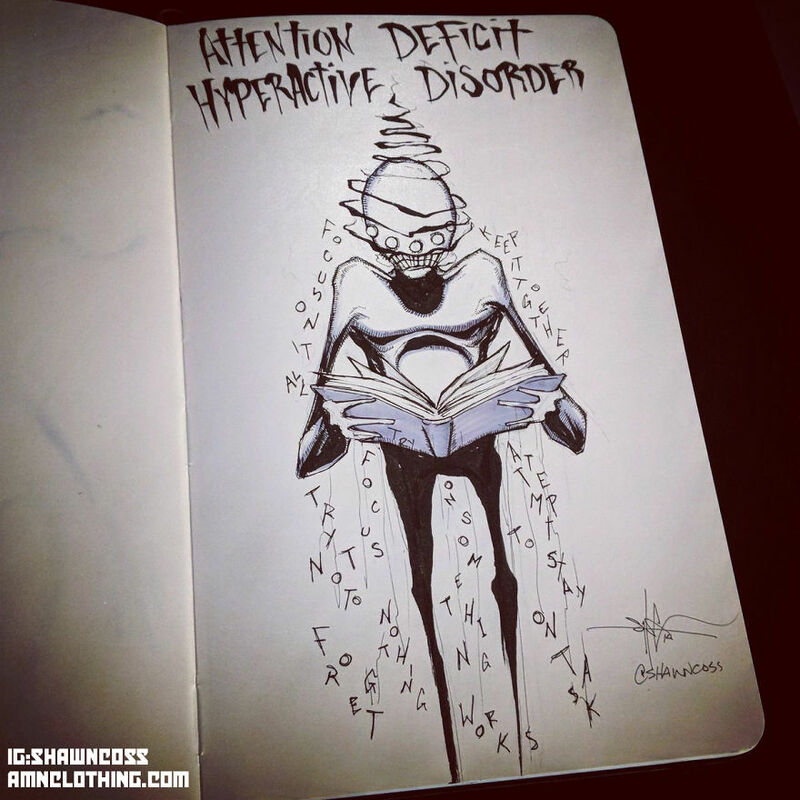 #3 Attention Deficit Hyperactive Disorder. 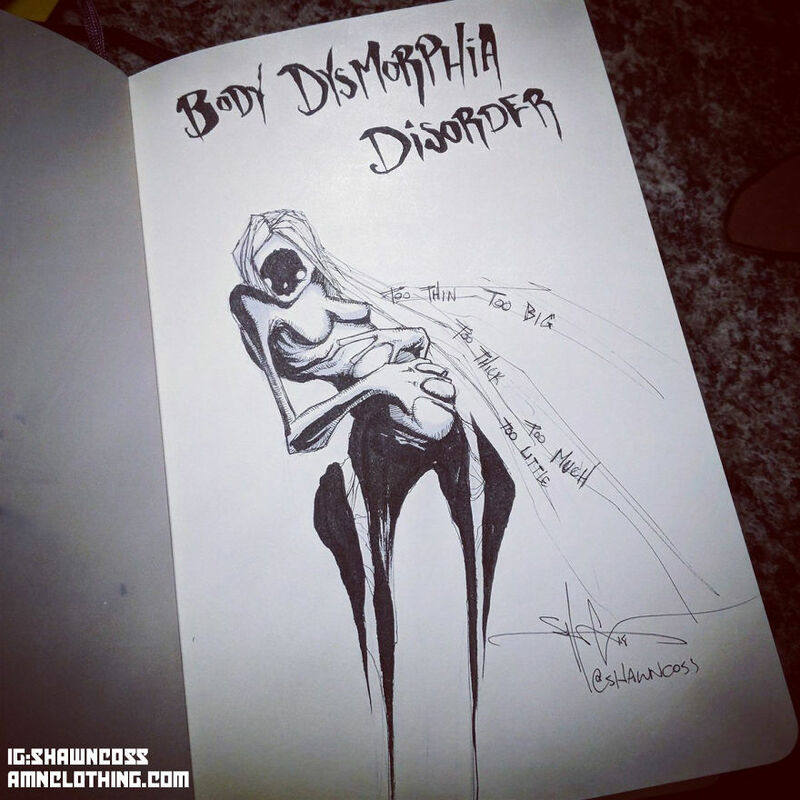 What are your thoughts on these representations of mental illnesses? 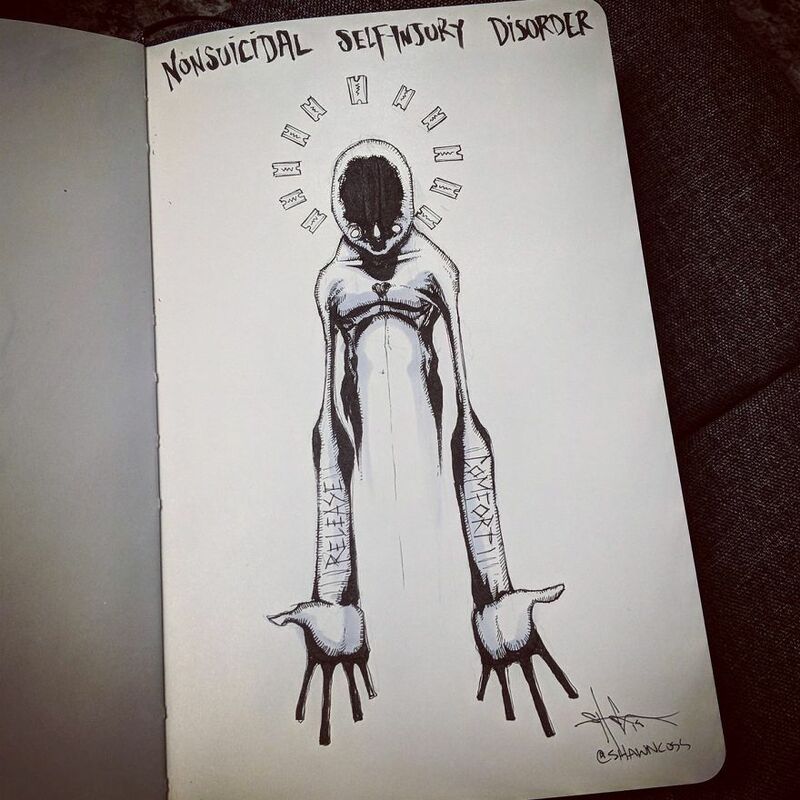 Do you think he did them justice? 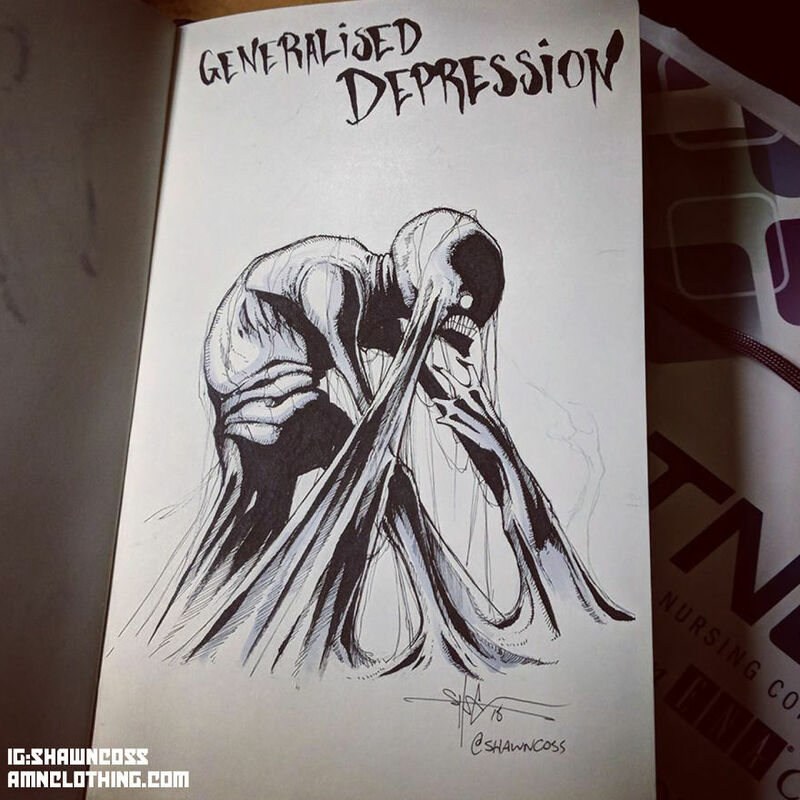 After all, not everyone with depression feels the same. 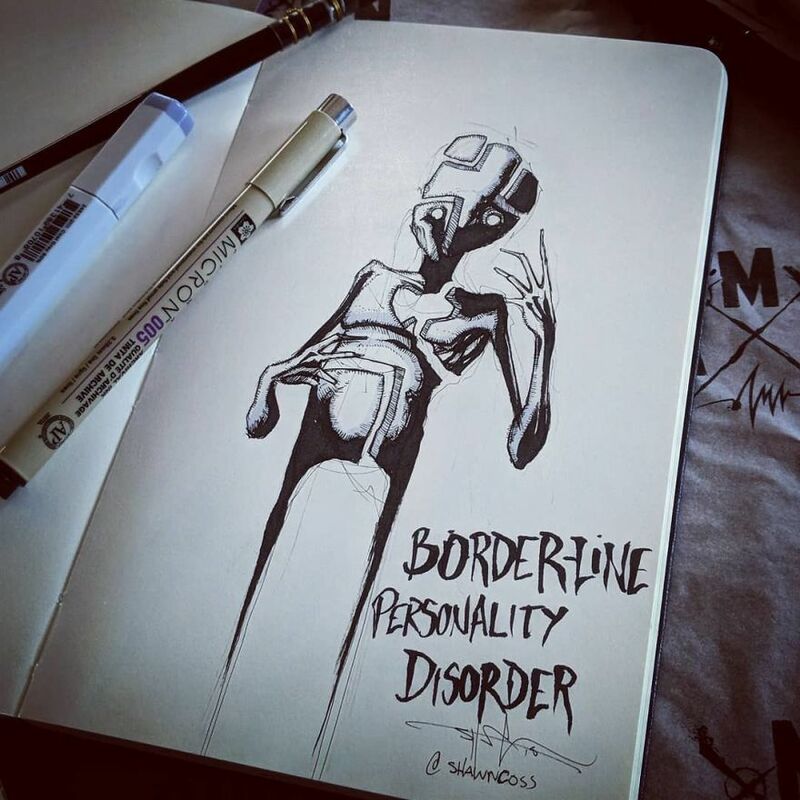 If you like his artwork, why not visit his Instagram and take a look too?